Eden Wing is a brilliant student. He’s about to graduate a year early from Ross University of the Sciences, with honors, and already has an internship lined up back in the Republic. But most people don’t introduce Eden this way. Instead, they say, “This is Eden, Daniel Wing’s younger brother.” Ten years ago, Eden’s brother Daniel was known as Day, the boy from the streets who led a revolution that saved the Republic of America. His name was spray-painted on walls, his profile splashed on both rebel pamphlets and wanted posters. I want to start by saying I was hooked on this book from the first two pages. 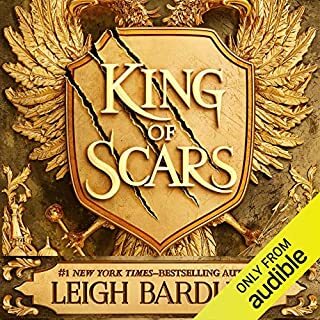 I listened to it in no time at all and brought up so many questions and great characters you want to get to know and learn. 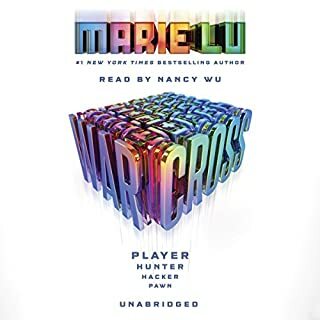 However every question thats asked in this story is regrettably absent by the end of the book where the author throws a lame plot twist then forces you to read the second book in order to find any closure. If you like a story thats a great standalone than this isnt for you. Oh, and your favorite character? You wont learn any back story about them at all. Amazing story potential, flawed execution. Also the two readers was kind of meh, the male reader was a bit cringe. 3/5 stars I would most certainly recommend it to my friends. Fans of Meyer's Lunar Chronicles will gobble this up. The setup is unique and intriguing. Meyer's world almost convincingly treads a line between believable sci-fi and comic book sha-zam. In this world, many people have super powers, and as expected, some use them for selfish gain while others use them to benefit others. There have been 3 basic categories of super-powered people--Villain gangs, Anarchists, and Renegades. The Anarchists have been defeated by the Renegades who now are the pop stars of the society. They do the work of the police, ambulance, fire and all other service organizations. There are enough of these Renegades that the rest of the populace depends on the heroes to save them in every situation, which they usually do. 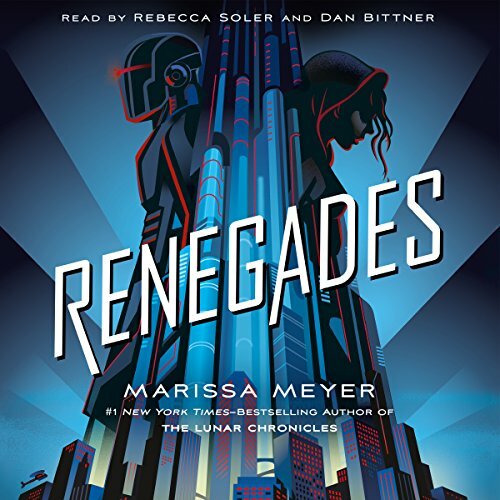 However, when a Villain gang comes and kills 6-year-old Nova's family, the Renegades fail to save the day. This is the Big Event. This is Nova's Origin Story. Now her life's sole aim is to destroy the Renegades. Nova has a few super powers of her own. We meet some others with various powers. Nova attempts to kill the Renegade Head Honcho. All this in 12 yawning chapters. None of the characters are fleshed out. There's none of the instant plunge into a fully-developed world. It takes until somewhere around chapter 12 or 13 for things to begin to get interesting. And it never quite makes it to credible super-hero world; you keep having to remind yourself of the basic premise of the book. And then it ends on a cliff-hanger, not a real ending. Nevertheless, Nova does raise some interesting concepts: 1) is it psychologically healthy for the populace to depend on others to come save them? and 2) is it always so comic-book easy to distinguish the good guys from the bad guys? This introspection saves Nova and the book from being utterly insipid. Meyer still struggles with her English, which she uses very well until her thesaurus fails her and she tosses in a completely wrong word. 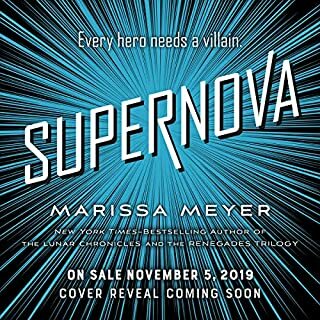 For example, Nova talks about wanting a world where people could be free, where people would not be HERALDED OVER by villain gangs. There are at least three of these in the book, but not so many as there were in the Lunar Chronicles. A really good English-speaking editor would have caught these. Rebecca Soler does a great job giving voice to the characters. Dan Bittner is there just in case you can't tell which chapters are told from the boy's perspective. As my 2017 most-awaited book, this one is a big disappointment. 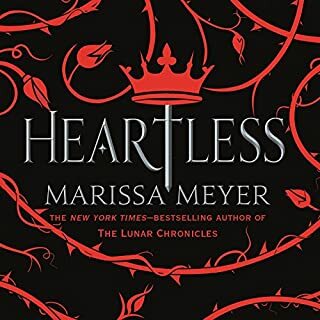 Despite that, with the Lunar Chronicles Meyer has proven that she can create a world and a plot and characters, so I will still read the next book, hoping she will step up her game. I’ve just recently gotten into reading the super hero genre. I have to admit I didn’t have very high hopes for this book. However it turned out to be amazing and I loved it. It does end with a cliff hanger, but I will definitely be buying the next in the series. I recommend Renegades it is well worth the credit. I enjoyed the world and character building. 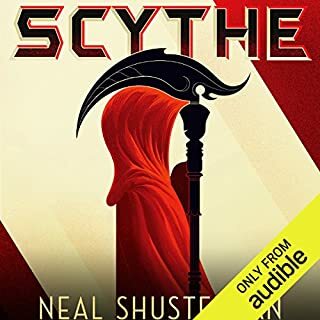 I thought the end was awesome and can't wait for the next one. great story and I'm so glad the ending was very well done. left me wanting more and didn't have too big of a cliff hanger. 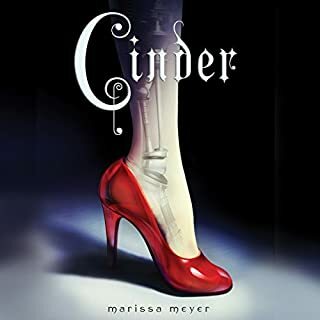 It's really new and different for Marissa Meyer. I did feel that the writing was more juvenile than her previous books, but still entertaining. It’s too bad you ruin this wonderful story by including controversial issues such as gay marriage. Sometimes avoiding those issues will help you reach a much broader audience. I’m disappointed. Need next book. Don't want to leave These people or this city. I will be back ASAP!